LONDON (Reuters) - The Bank of England will soon spell out how it wants banks, insurers and investment companies to manage the financial risks from climate change, Governor Mark Carney said on Thursday. The central bank under Carney has been vocal in highlighting climate change's potential impact on the financial sector, such as the impact of more frequent floods on mortgages and insurance, or of new emissions rules on fossil-fuel investments. Companies will be "expected to embed fully the consideration of climate risks into governance frameworks, including at board level", Carney said in a speech at a conference on sustainable finance hosted by the European Commission in Brussels. While governments would ultimately set environmental rules, financial regulators had a key role to play to smooth the flow of investment into green technologies and encourage firms to plan over longer time horizons than normal. He also said the Bank of England's regulatory arm would recommend that banks, insurers and asset managers regularly test their strategic resilience against climate change risks. Financial firms would be expected to name a senior official personally responsible for managing these environmental risks, similar to the Bank's existing requirements for the management of financial market and staff misconduct risks. In September the central bank said that only a small fraction of banks in Britain were planning properly to mitigate risks to their businesses from climate change and that it would push lenders to take action. Carney said there appeared to be a "cognitive dissonance" between insurers' careful assessment of the risks climate change posed to the liabilities they insured, and a much more superficial approach to the assets in which they invest. Some banks are already taking account of lending risks linked to carbon-intensive sectors, consumer loans secured on diesel vehicles and mortgages for landlords who own rental properties that do not meet new energy efficiency standards. 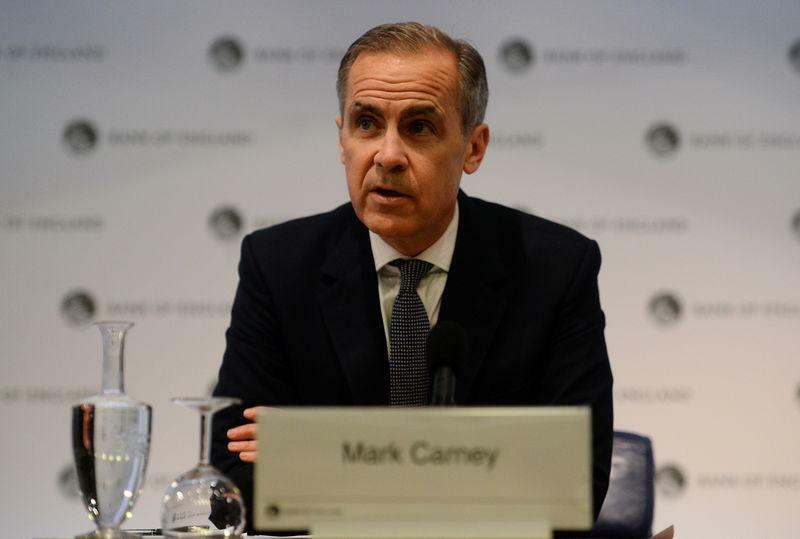 Other financial firms are asking the BoE to provide more prescriptive recommendations or to require more mandatory disclosures of environmental risks, Carney added.